C. Lyn Crooms, M.D. has been providing orthopaedic care to patients for Pinnacle Orthopaedics since 1999. His primary practice is currently located in the East Cobb location where he sees the majority of his patients. Dr. Crooms is a Board Certified Orthopaedic Surgeon and is a Fellow with The American Board of Orthopaedic Surgeons. He graduated from Emory University and received his Doctor of Medicine Degree from The Medical College of Georgia. He completed his Orthopaedic Residency at Georgia Baptist Hospital and also served as a Medical Officer in the United States Air Force in Phoenix, Arizona. His current specialty is non-operative orthopaedics. Dr. Crooms has been very active in his community and has served as team physician for many local sporting events throughout the years. 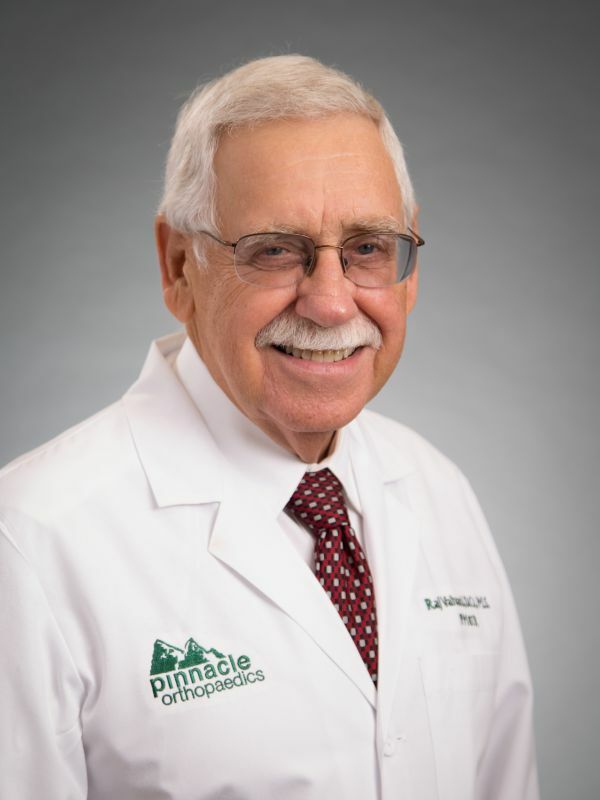 He has also served on many committees including the Medical Advisory Board for the Georgia State Board of Workers' Comp and has served as Chairman of the Northside Hospital Orthopaedic Section. Dr. Crooms lives in Atlanta with his wife and family. In his free time he enjoys hiking and sailing.